The City of Cupertino has received a grant that will go toward strategies to reduce the availability of tobacco products. The City of Cupertino has received a grant from the County of Santa Clara Public Health Department that will go toward strategies to reduce the availability of tobacco products and prevent youth access and exposure to flavored tobacco products. Cupertino is among six cities to get a chunk of $310,000 from the Health Department. Other cities to receive in-kind support through June 30, 2021 include Milpitas, Morgan Hill, San Jose, Santa Clara, and Sunnyvale. Cupertino is getting $56,000, with anticipated reach of 17,677 youth under 21 years old, according to the Health Department. 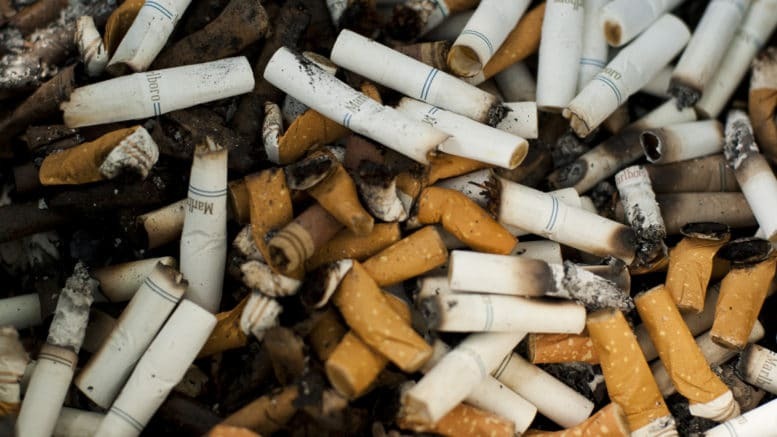 Countywide, funding will go toward a variety related efforts, including decreasing secondhand smoke exposure in living spaces with a shared wall and the availability of tobacco products within cities, including prohibiting new businesses from selling tobacco near youth-populated areas, such as schools, parks, and community centers, the Health Department stated. The Health Department says that in Santa Clara County, one in eight deaths annually is “attributed to smoking-related illness or diseases, such as cancer, heart disease, and respiratory diseases.” More than one in 10 youths in the County currently use tobacco products, including electronic smoking devices. All cities in the County were invited to apply for funding. The funding is available through Proposition 56, the California Healthcare, Research and Prevention Tobacco Act of 2016, which increased the tax on cigarettes and other tobacco products by two dollars. Over the past eight years, the Santa Clara County Public Health Department has provided more than $1.2 million in funding to cities to support implementation of tobacco prevention strategies. 4 Comments on "Cupertino receives grant to implement tobacco use prevention policies"
Kids aren’t supposed to be smoking in the first place, according to the Law. Why will more laws prevent further smoking by kids? No one in my family smokes or has ever smoked. Why aren’t you promoting the 95% safer e-cigarettes like the UK has been doing for years? It is already illegal for teens to buy tobacco products. Are you enforcing the laws already on the books? Where do you think teens get their tobacco products? The same place they always have. Is Cupertino enforcing the current laws?